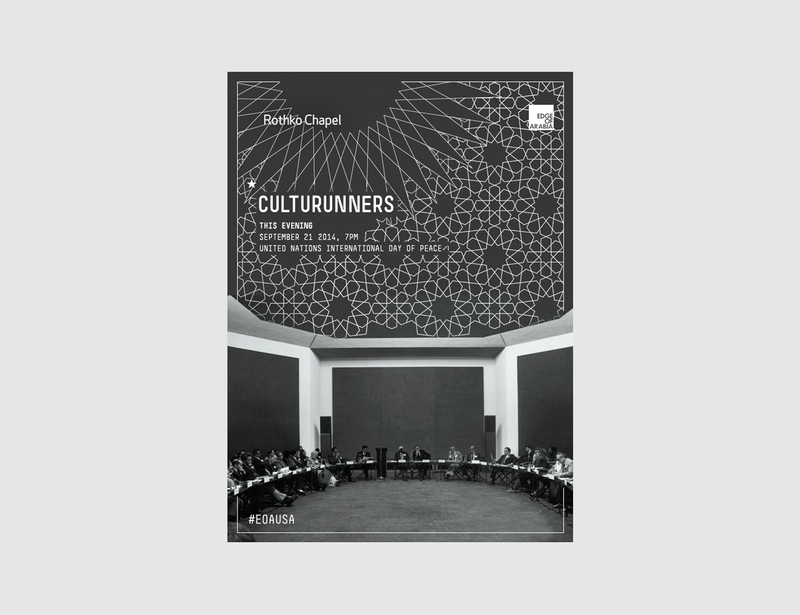 Culturunners is an independent model of cultural exchange, one which empowers and mobilizes international artists to tell stories and create art across borders. 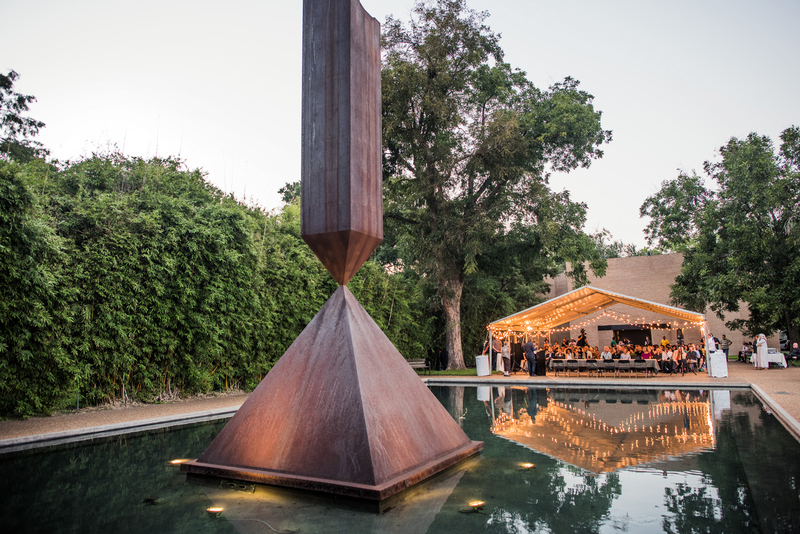 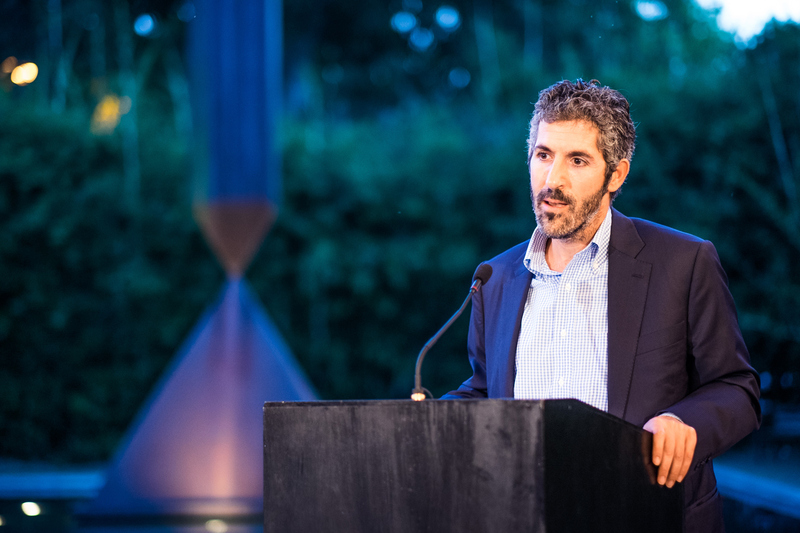 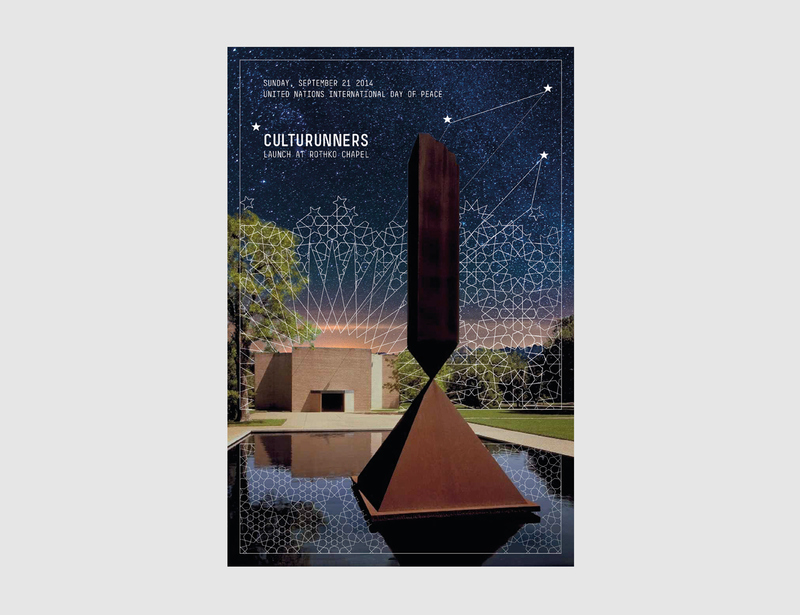 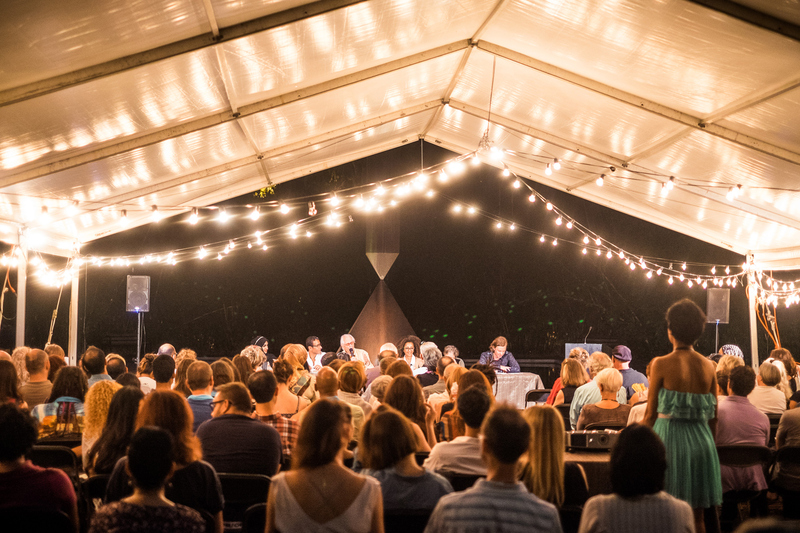 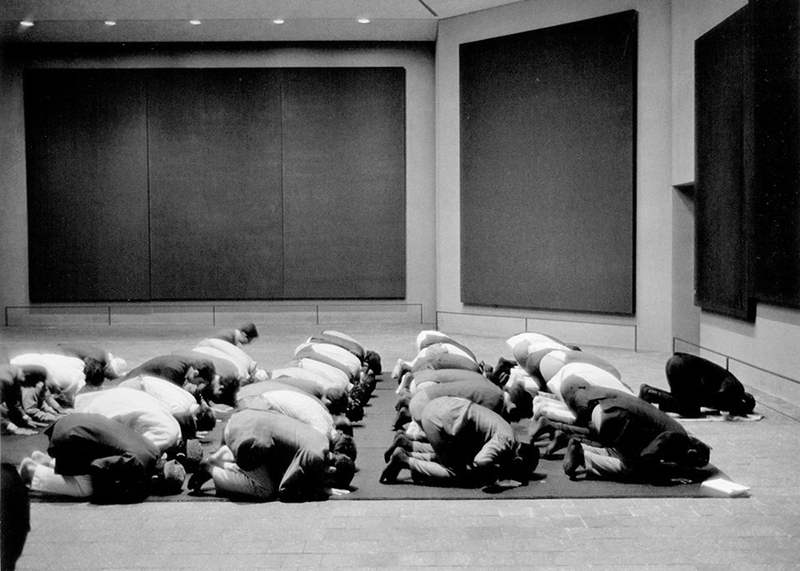 The launch was the first ever event on Middle Eastern contemporary art at the iconic Rothko Chapel and opened institution’s season of events on art, spirituality and nonviolence. 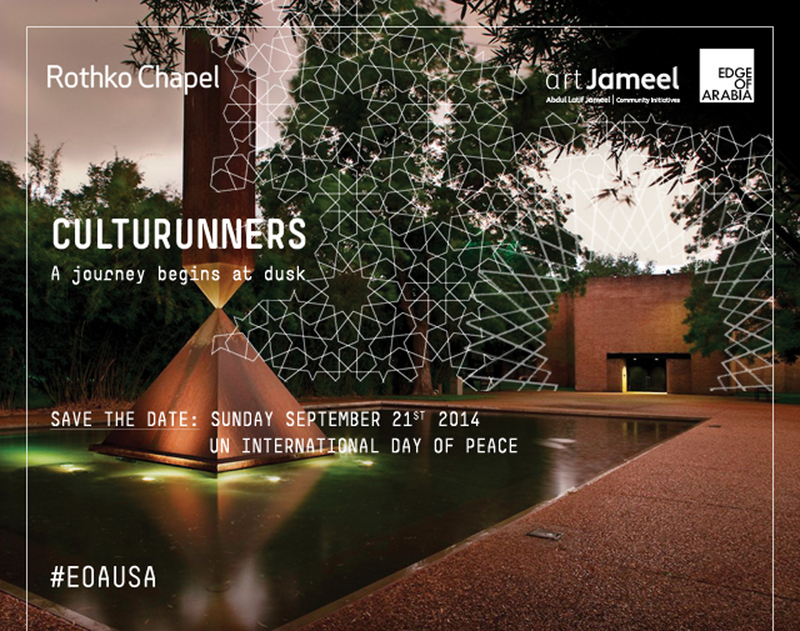 We created the event’s visual identity based on Islamic geometric patterns.